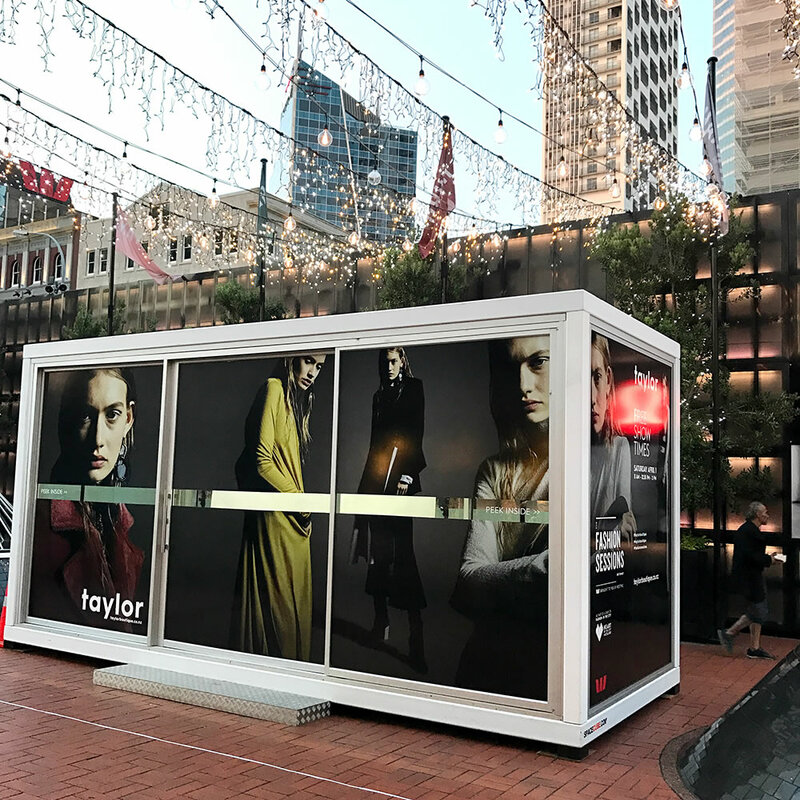 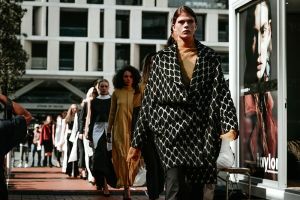 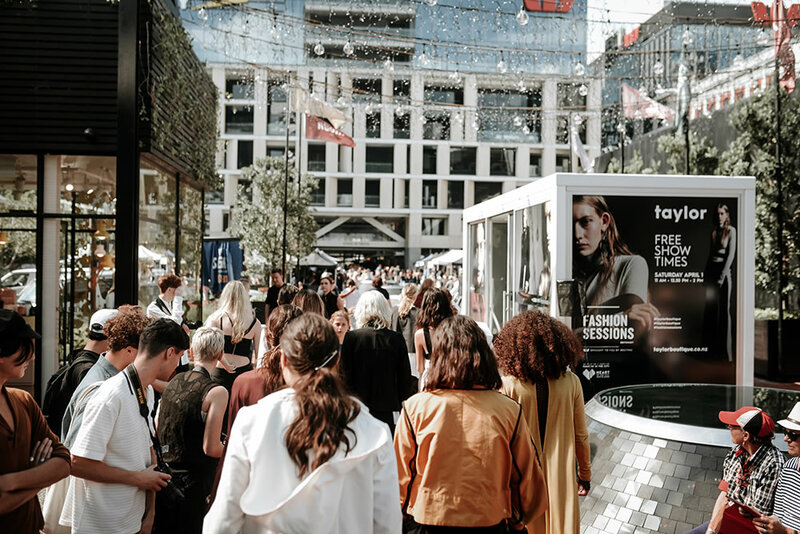 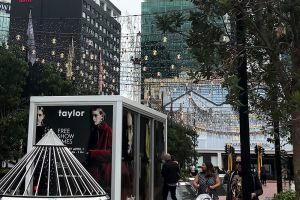 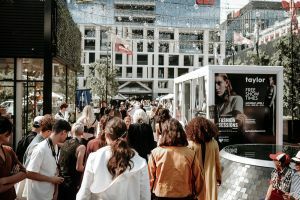 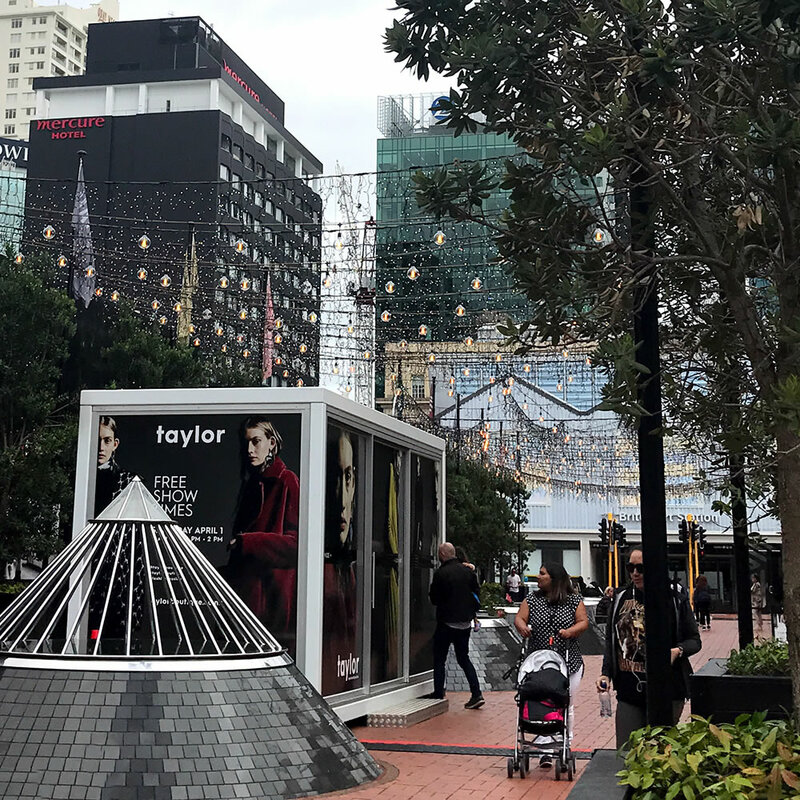 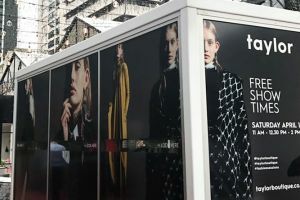 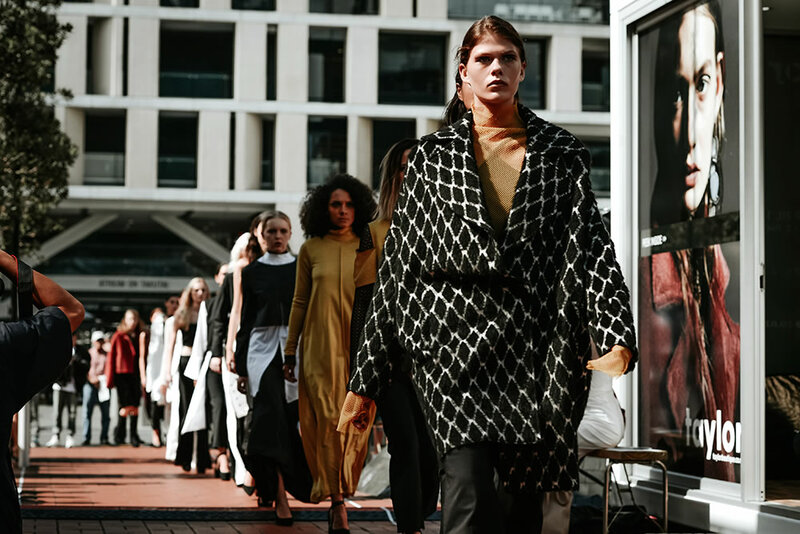 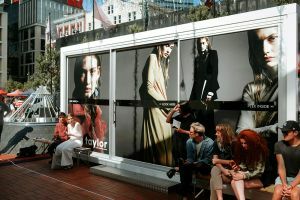 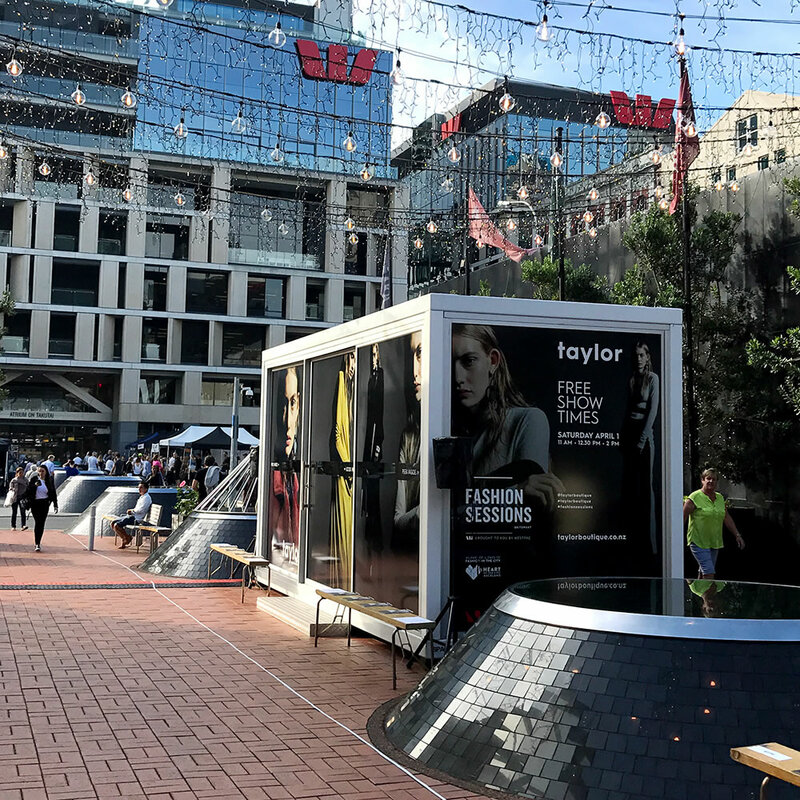 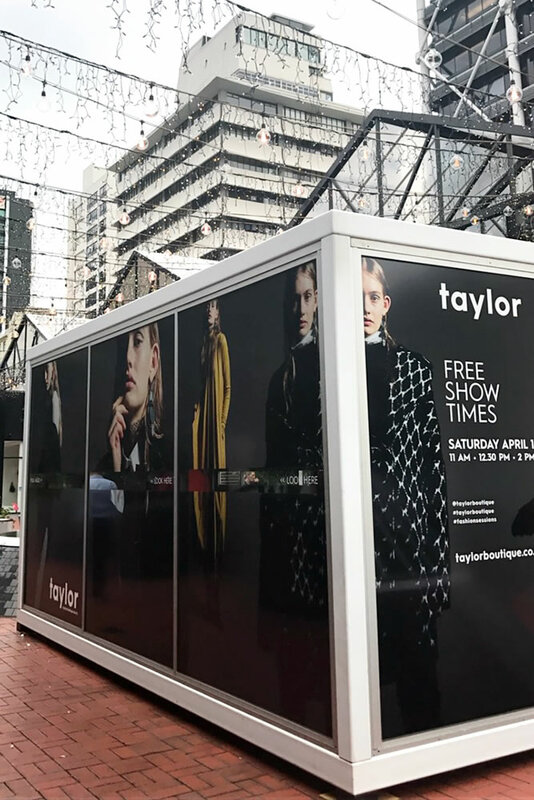 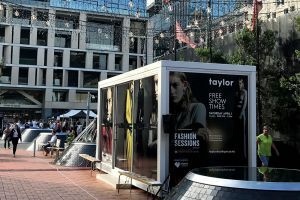 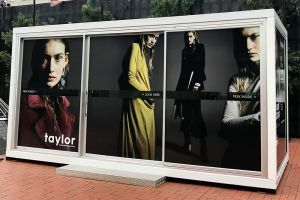 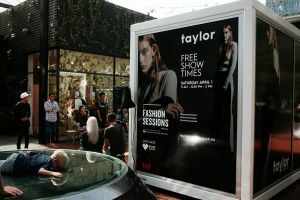 This year for 2017 Britomart Fashion Sessions, taylor put a Space Cube in the middle of Te Ara Tahuhu Walkway in front of their Britomart store. 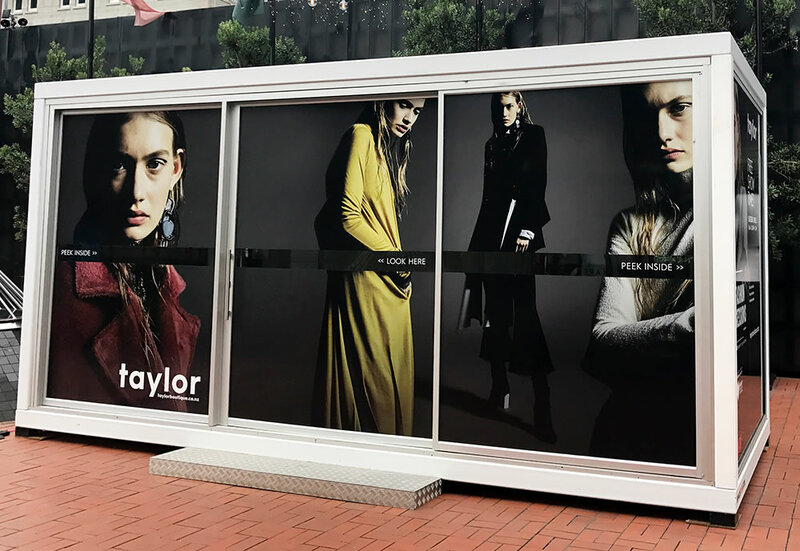 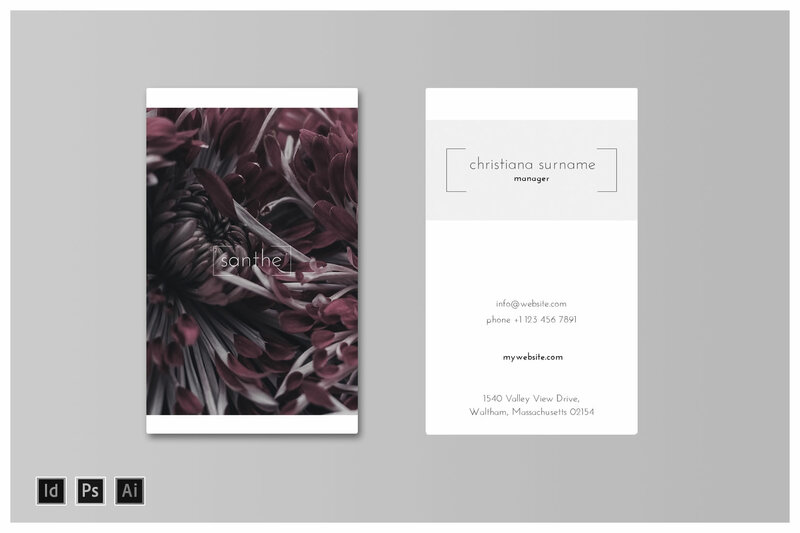 Nectarine created the graphics for the ‘skin’ for the Space Cube using taylor’s gorgeous Winter 17 photo shoot. 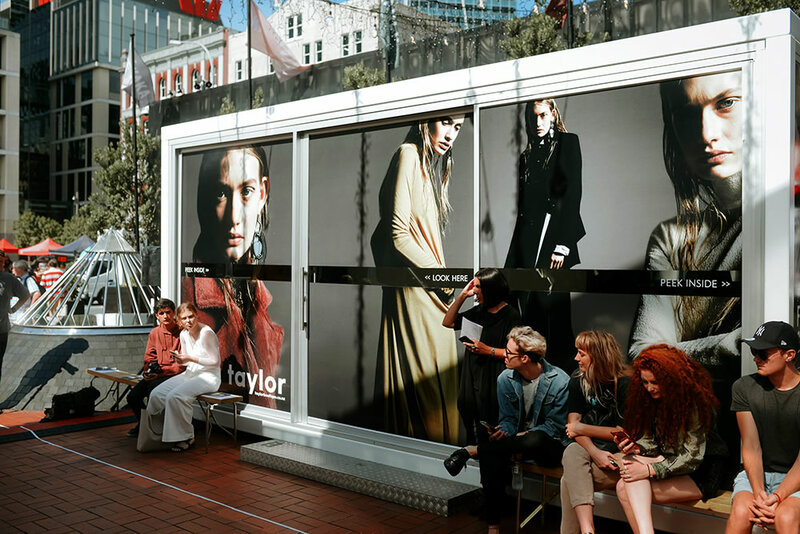 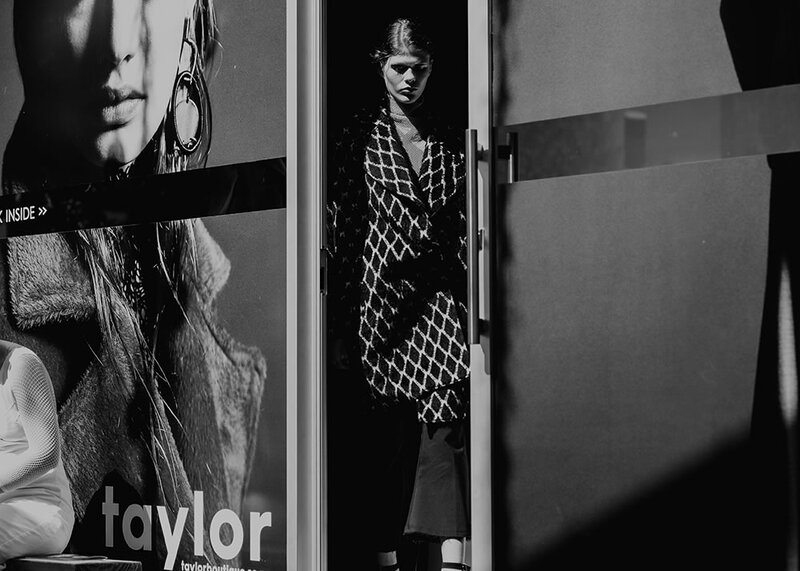 Taylor used the cube as a ‘backstage’ for their open air fashion shows on Saturday April 1. 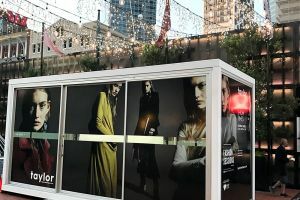 Each window is over 2mtrs high with the long sides having a gap in the graphics so passers by can peek in and see what is going on.